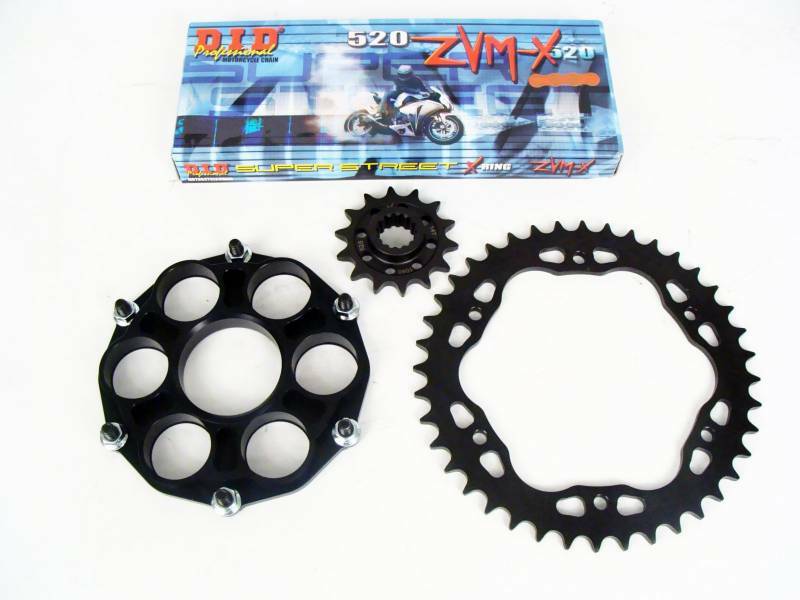 This kit includes an Afam aluminum sprocket carrier, Afam steel quick change sprocket, Driven light weight steel sprocket and DID's highest rated chain the ZVMX which is available in silver or gold. This kit is designed to be lighter than your OEM set up but is not the lightest kit. Available in 520 or 525 chain size. We also have included an option for the CNC Fabrication case guard for just $15 when you buy this kit. For a light weight set up see our Afam Lightweight Kit.